Custom 4 gallon JAZ Metal can Fuel C.. Custom 8 gallon JAZ Metal can Fuel C..
Off-road racing suspension seat Bla.. 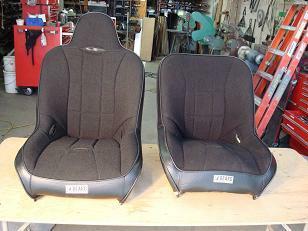 Beard off-road racing suspension seats are preferred by many stunt people for car crashes and rollovers. We usually stock them in high and low back. Tim Trella used one of these when he crashed and rolled the Black Dodge Charger in the first 'Fast and Furious'.